I’ve always promised you, my HPANWO-readers, that I’d let you know if I spotted anything or experienced anything that was in any way strange or inexplicable. Here are a few examples of my past encounters with the outlandish and otherworldly: http://hpanwo-voice.blogspot.com/2008/10/real-ghost-train.html and: http://hpanwo.blogspot.com/2008/12/my-ufo-sighting-281208.html and: http://hpanwo.blogspot.com/2007/11/my-trip-to-haunted-house.html . This new experience is perhaps not as significant as previous ones. To be honest I can’t be sure that it wasn’t just my eyes playing tricks on me; however I promised I’d report it and report it I shall. Despite the tenuous nature of the event it does bear a striking resemblance to phenomena reported by other researchers which I will detail in due course. 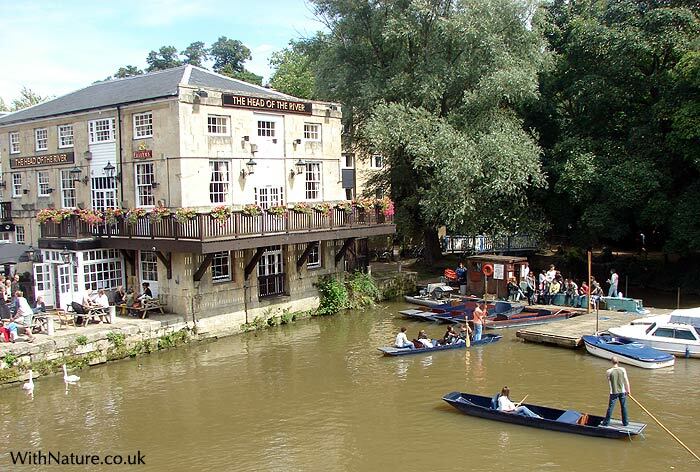 It took place last Friday at about 11.30 PM next to the River Isis (Thames) in Oxford. I was walking along the towpath downstream from Folly Bridge in the city centre to Donnington Bridge which is near my home in South Oxford. It happened as I was just passing the University boat sheds which lie on an island at the confluence between the Rivers Cherwell and Isis. During the day this area is a hive of activity; boat crews are constantly launching, mooring and rowing back and forth in their fast racing boats, but at this time of night the place was still and deserted. I was the only person in the area. It was also very dark; I’d even covered one of my eyes for a few minutes before leaving the well-lit street for the riverbank to get my sight adjusted to the darkness. I then saw a strange thing ahead of me on the towpath that made me pull up short. It was a flat blank and homogenous shape without detail, pretty indistinguishable from the blackness of the night around it. It was the shape and size of a man, but it was just an outline of white light, like a chalk sketch in the air. I was thinking of trying to draw it on black paper, but there’s not much point because I’m not a good enough artist and can’t afford to commission Neil Hague! The white outline glinted and rippled slightly like a ribbon or bunting. 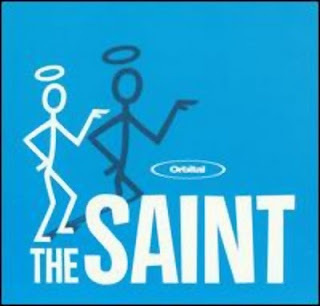 It actually resembled the outline of The Saint in the TV series, except this was not a stick-figure, but solid. It was about 50 yards ahead of me standing totally still on the towpath. I blinked a couple of times, but it was still there. Unlike my previous encounters with spectral figures I felt a bit frightened and “spooked”. I was suddenly aware that I was in quite vulnerable position, alone and far built-up areas, and I wasn’t sure what this entity was. Was it friendly or hostile? Could it harm me? For a few seconds I stared at this object; unlike with my previous encounters on the train and my bedroom I didn’t get the sense that this entity was aware of me. Then suddenly it began to move. It ran off away from me downstream along the towpath. It accelerated and moved far faster than any human can run. In a few seconds it was out of sight. I stood still for a few minutes gathering my senses; my heart was pounding and I was panting with shock. I almost turned round and ran back to Folly Bridge which was still just in sight. Then I decided to carry on towards my destination. It was in the same direction that the figure had travelled, but I was still had enough curiosity mixed with my fear to kind-of hope that I’d see it again. When I got to Donnington Bridge I called Ustane and told her what had happened. What has struck me most about this incident was its similarity to the CFZ’s encounter at Bolam Lake, Northumbria in 2003. See: http://www.cfz.org.uk/expeditions/03bolam/index.htm . Here I quote: “Jon again heard the raucous noise of the rooks that he had reported, just before dawn. Suddenly, once again, they fell silent and one of the Twilight Worlds (A TV film crew) members shouted that she could hear something large moving around amongst the undergrowth. Jon ordered all of the car drivers present to switch on their headlights and to put them on to full beam. He did not here any noise in the undergrowth although other people present did. Eight people were watching the woods and five of them, including Jon saw an enormous man shaped object run from right to left, disappear, and then a few moments later run back again.” (“Jon” is the CFZ director Jonathan Downes. see links column). It’s interesting how some of the members of the investigation team also felt “a sensation of intense fear” like I did. Could these two phenomena be related? What was it? Not a Bigfoot-type “Big-Hairy Man” creature. These BHM’s are not only seen in remote places like the Himalayas or Rocky Mountains and are often reported from built-up area where a physical flesh-and-blood creature could not possibly hide. In his autobiography Monster Hunter, Downes describes the Bolam Lake apparition in more detail; he says that it was not a solid object at all, but a flat shape, like a cut-out in the air and it moved with a speed and agility that no living creature could. The fact that they’re related to spectral apparitions means that they, some of them at least, are probably more like what Downes calls “Zooform phenomena” than true cryptids. Another interesting idea is whether the location was important. In indigenous mythology river confluences are very powerful energetic points which thin the veil between our reality and others. Unfortunately, unlike the Bolam Lake expedition, I didn’t have a TV crew and lots of independent witnesses with me confirm what I saw. In future I might walk along the roads to get home from town at night! In the end the Storm movie didn’t portray the psychic with Devil’s horns which I thought they were going to do, see: http://hpanwo.blogspot.com/2010/09/bathing-into-history-part-5.html . But they portrayed him as a dark-eyed blackguard with sinister, angular features. I know because yesterday I saw the film. It was a stylish and creative illustration to the poem and I admire its wit... if not all its sentiments. 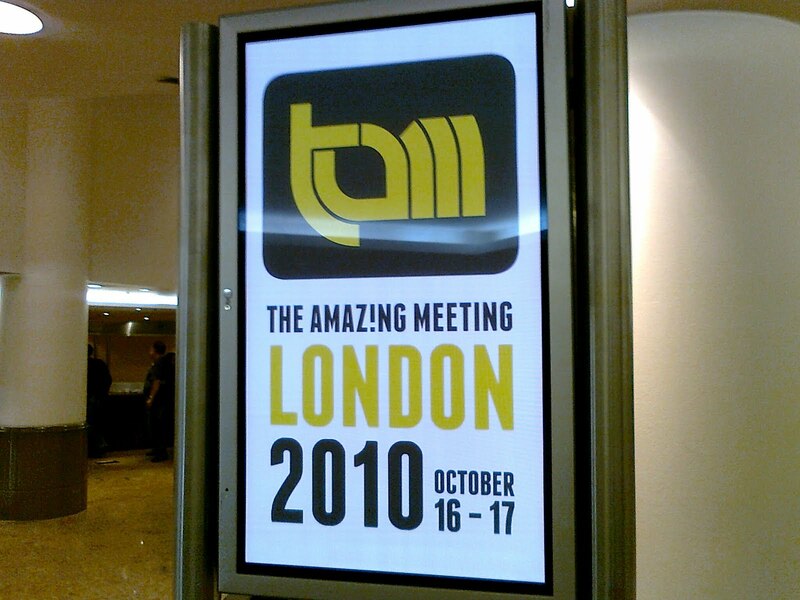 I went to TAM London yesterday (See: http://www.tamlondon.org/ ).I know what you’re going to ask: “Ben, what are you doing going to a Skeptic conference! ?” This is a question I’m not sure I can completely answer yet, except with a contrived platitude like “Well, it’s always wise to hear both sides of the story.” This is actually true, and I wasn’t lying when I met Trystan of Righteous Indignation there (See: http://parafort.com/ri/ ) and answered him that way. He recognized me from the Weird Conference (See: http://hpanwo.blogspot.com/2010/08/weird-10-conference.html ) and said: “Hi, Ben. I didn’t expect to see you here.” I think my curiosity with Skeptics might mostly come from my dealings with "Droike" on the HPANWO Forum, see Links column. Trystan’s surprise is fair enough because very few “Woo’s” have anything to do with the Skeptic Movement and only ever regard it with repulsion and hostility. They’ll accuse significant figures within it of being “shills” and “government agents”; in some cases they’re absolutely correct, but not always. It’s far too simplistic to denounce all prominent Skeptics as disinformers and government moles. It’s also a mistake to label them all as “closed-minded”. Some definitely are of course, but by no means every one. So what exactly is a Skeptic? What motivates them? What makes them tick? To answer the first question in their own words: “A skeptic is one who prefers beliefs and conclusions that are reliable and valid to ones that are comforting or convenient, and therefore rigorously and openly applies the methods of science and reason to all empirical claims, especially their own. A skeptic provisionally proportions acceptance of any claim to valid logic and a fair and thorough assessment of available evidence, and studies the pitfalls of human reason and the mechanisms of deception so as to avoid being deceived by others or themselves. Skepticism values method over any particular conclusion.” (Source: http://oxford.skepticsinthepub.org/Default.aspx/19/What-is-a-Skeptic) But many non-Skeptics say the same thing about themselves. Plenty of established scientists are opponents of the prevailing views of the Skeptic mainstream; people I’ve written about before like Peter Fenwick, John Mack and many others. So really the above quote is more of a slogan than a description. It’s an ideal that many people aspire to both within and without the Skeptic Movement. A more accurate description of the World of Skep, one which they will probably dislike, could be: A mode of thought, cognitive suite or cultural meme that has an affinity with normality or the prevailing paradigm on all subjects… But then again even this definition doesn’t sound right to me. It’s frustrating! I need to actually get inside their heads to find out. I wish I could become a Skeptic for a day! The first session of the conference began at 9AM. The seats were very small and I felt a bit boxed in; or if I’m honest I’ll have to dabble with the possibility that my arse was simply just too big for them! I had to hold my arms and legs in to avoid impinging on the space-ration of the people on either side of me. Luckily the luxurious air-conditioning took the edge of the heat, but it was still arduous. Also the first four speakers, taking up the entire morning, delivered their lectures without a break. 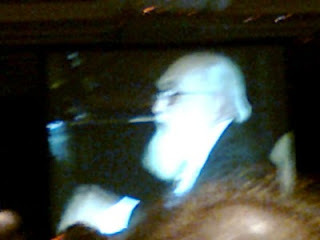 James Randi, founder of TAM, came up onto stage to a standing ovation; although I sufficed with a more moderate round of applause for basic courtesy’s sake. He is now in his late 80’s and looking a bit frail. He’s also in remission from cancer. However he’s still as talkative and ever and has lost none of his showmanship. I managed to get closer to him later and was surprised at how short he is. I always assumed he was quite tall, but that’s what comes from only seeing somebody on TV. He was followed onto stage by Susan Blackmore (MBA Gold). See: http://www.susanblackmore.co.uk/ . 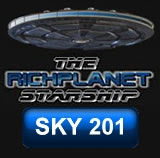 Blackmore used to be, by her own definition, a “rent-a-Sketpic” who was always invited onto TV shows whenever the Paranormal was discussed to present the materialistic side of the argument. She basically did the job that Chris French (MBA Gold) does now. It was a remarkable lecture, the first one of hers I’ve seen live. I’ve seen her other works of course; one could hardly call oneself a Skepticologist otherwise! She opened her address by showing a photo of a smiling young woman standing outside St Hilda’s College in Oxford wearing a colourful silk cardigan. Then we noticed that she was wearing that same cardigan on stage. The girl in the photo was indeed Susan herself in 1970 when she began her studies into the paranormal. "A completely different person" Susan said. (However the cardigan was unchanged after 40 years. She definitely takes better care of her clothes than I do! Most of mine end up in the duster-bag after less than 10 years!) She had an OBE, Out-of-Body Experience, soon after beginning her Oxford scholarship. It was so powerful that she was convinced that it was real. She claims that it contained all the elements that other OBE-ers report in their own experiences: the tunnel with a light at the end, astral travelling, a feeling of communion with God, ineffable and indescribable emotions and perceptions etc etc. Seeing as she was being trained as a scientist, this set her on a path to scientifically proving that the Paranormal is real and she concentrated on what she believed was the most promising domain of research, ESP and telepathy. The title of her thesis was Extrasensory Perception as a Cognitive Process. Unfortunately, despite her best efforts, she got nowhere. Again and again her experiments drew a blank and she was unable to conclude that real ESP had been present. However her memories of that amazing OBE and the desire to prove it scientifically drove her on. As the years went by and the pile of negative results built up she became more and more frustrated. Then, one day, she got word from a Dr Carl Sargent in Cambridge about some very promising results with his Ganzfeld Psi-tests. Susan was elated; “This is it! At last!” she thought and hot-tailed it up to “The Other Place” to join him in his work. At first the results looked positive and Susan for a while believed that her persistence had been rewarded and she had reached the Promised Land, but then she discovered some suspicious practices going on in Sargent’s laboratory and suspected him of cheating. When she came out and said this openly she was pulled up by the Psychical research group she worked for and got a bollocking. But all she did was try and expose what she thought was a cheat. Today Carl Sargent has left science altogether and is a designer of role-playing novel-games. This is where she made me see her in a new light. She told us that we must understand how devastating this experience was for her. She was very emotionally attached to this area of research; she was a “true beliver” who was into Witchcraft, Tarot, Astrology etc “You name it, I believed in it”. One day she was lying in the bath and the thought ran through her head: “What if all this is all just bunkum?... What if none of it is true and I’ve been chasing a scientific mirage?” These kinds of sudden new perspectives often arrive at us just like that; they’ve happened to me too. Don Cupitt, a famous TV religious broadcaster has himself described how one day he just woke up and said: “That God is dead”. It’s as if a certain uncomfortable viewpoint has been simmering away in the subconscious being suppressed by the ego until it reaches a critical mass and then breaks out into the conscious mind with a revelatory force and we go: “Ah, that’s it!” So Susan became a Skepper. “And I found out that it’s fun being a Skeptic” she says. Then she became very emotional, on the verge of weeping when she said (jokingly to her current audience): “Please don’t bring me your tails of ghosts and spirits because I just can’t take it anymore! I was rolling on the floor screaming about this whole issue just the other day!” It’s obvious that she is actually rather traumatized by, what she sees, as her futile attempts to scientifically prove the Supernatural. This is a very very interesting factor when you analyze her subsequent public activities. Richard Dawkins was on next. I’ve reviewed Dawkins’ book The God Delusion here: http://hpanwo.blogspot.com/2008/04/god-delusion-by-richard-dawkins.html . As you can see none other than David Colquhoun has commented on it (See: http://www.dcscience.net/ ) If Colquhoun has read my review then probably the author himself has, but Dawkins didn’t recognize me. Dawkins made a very good speech about how Evolution should be compared to the Classics. And now the Classics is no longer taught in most schools could Evolution replace it? It could because Evolution acts as a link-paradigm to so many other sciences, humanities, arts and other fields of study, in the same way that the Classics does. Dawkins has taken a new tack in the last couple of years. In a way he’s gone back to his noble roots: as a communicator of science to the general non-scientific public. This is what he excels at: explaining the wonders of Biology to laymen like me. I recently watched a lecture by him where he describes how humans evolved nose-hair and it fascinated me! I’m glad he’s cooled off with the inverted Bible-bashing; he was wasted on it. I got to talk to the other delegates, and even a couple of the speakers, in the bar and rest-rooms and had some good conversations, but I was constantly holding back my true feelings and this was difficult; it’s contrary to my nature. I didn’t spout any outright hypocrisy. If they’d asked me what I thought of ghosts, UFO’s, Conspiracy Theories etc I’d have told them honestly, but nobody did. They all assumed I was a fellow-Skeptic. I spoke very animatedly about the subjects on which I am agreed with the Skeptic Movement like the evils of organized religion, Simon Singh, the legal rights of Skeptics to free speech and the wonders of science. It’s a total myth that Woo-Woo’s are all “science-haters” as much as it’s a myth that Skeppies are all government agents or closed-minded; I ain't gonna be nobody's Storm! Another thing which made it difficult was my health. I’ve been feeling a bit under-the-weather for the last few days; nothing major, just lots of minor niggles like a runny nose and aching joints. The stress and discomfort of the conference made me feel distantly flu-ey. I don’t know if I have flu or not, I suspect it's just a 24-hour virus; however, being male, I became fairly incapacitated. 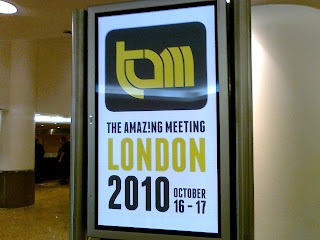 I’m at home now; the conference is a weekend-long affair, but I’ve had to miss the second day. After my visit to TAM London I’m not really any the wiser as to what a Skeptic is, but I have a few theories on what motivates some of them. I’ve wondered about this for a while, but now I’m convinced. A clue is in the definition I found above with the words: "...comforting or convenient”. What could be comforting and convenient about being a non-Skeptic? Well the most obvious is the idea that when we die there is an Afterlife. Several of the speakers and delegates have said this in as many words, especially Susan Blackmore; the Afterlife, they claim, is simply wishful-thinking. People who believe in it do so as a psychological safety-net to protect them from the unwelcome truth that when they die they’ll cease to exist. But let’s read between the lines here for a minute! : “Once you die you die. You’re dead forever and no longer exist. The reason people believe in Life-After-Death is simply because the prospect of ceasing to exist is unbearable and so humanity has concocted a mental safety-net to survive psychologically … BUT… I can face it! I know I’m going to cease to exist when I die and I can face up to it! You quivering, pathetic, inferior jellies need this comfort-blanket myth of an Afterlife, but I have the strength, the courage, the manliness and general superiority to get through my day without that crutch!” So one could argue, and I do, that not to believe in Life-After-Death is a form of wishful thinking, for the prestige you get from it. I call this MBA, Materialist Bravery Award and here I lampoon Professor Chris French (MBA Gold) for it: http://hpanwo-tv.blogspot.com/2009/09/prof-chris-french-mba-gold.html (Luckily he sees the funny side of it!). What’s more when Skeptics get together there’s a lot of celebration of the exclusivity that MBA brings them, either openly or unspoken. There’s a culture of back-slapping and self-congratulation at every Skepper event I’ve attended so far, and TAM was no exception. However this can’t account for every individual within the Skeptical community and my studies will have to continue. I once challenged James Randi to come to the UK and spend 6 weeks with my research team. At the time (when I had money lol!) I said if I convinced him that some paranormal events could not be rationally and logically explained, he should donate his $1 Million "prize" to a charity of my choice. If however he COULD provide a rational and logical explanation for everything that happens, then I would donate £100,000 to a charity of his choice (Presumably the JREF- Ben). He refused to take up the challenge. The story begins with a group of happy and easy-going students enjoying their life at their college. They are intellectually aware of the fact that they are all blind, but don’t understand the implications of their disability. They were all born blind and their conditions are all incurable, so they have trouble understanding exactly what it means to be able to see. Many of the early lines are their discussion where they speculate what the sense of vision must be like. Like most blind people, the students have excellent hearing and spacial awareness. They walk around their colleges as easily as non-blind people. They recognize each other’s footsteps and breathing sounds and even play sports together. They live in a kind of Utopian idyll; since they have no concept of sight they don’t miss it. They don’t see sighted people as any better off than they themselves are. But then a snake appears in the garden! A new student called Ignacio is enrolled and immediately begins to sow discord and resentment among the incumbent residents. It’s not clear why; maybe he used to be able to see and lost his sight (like my late mother did), but Ignacio understands what vision means and explains to his new companions exactly how deprived they are. This news is devastating to the students, and the harmony and contentment of the college begins to break down. The poor students, aware that they are blind for the first time in their lives, lose their dexterity and manoeuverability. They stumble and trip as they walk the college’s corridors and bump into each other. Their almost psychic ability to sense each other’s presence becomes dulled and their sporting activities turn into a shambles. The play ends with Ignacio’s dying as he falls from a high slide in the college grounds and the audience is left guessing whether another student, Carlos, murdered him. The philosophical conundrum is this: Did Ignacio do the right thing? Was it right to inform the blind students of their predicament? Actually Ignacio was quite an antagonistic character who was riven with bitterness and envy. He was something of a Dog-in-the-Manger who hated the students because their peace and joy accentuated his own mental squalor. His motive was not to enlighten them, but to drag them down to his level. However, suppose somebody did what he did with benevolent motives; what would those motives be? Could there be any justification for this revelation, which would be very painful for the students no matter how gently you let them down. Wouldn’t it be kinder simply to leave them to their happy delusion? What benefit could telling them the truth possibly do? Their blindness was incurable so they’d be left in despair. This is what is known as a Platonic Noble Myth, the idea that it is sometimes good to tell or maintain a falsehood. There are many other examples in literature, like in the film Casablanca where Rick insists that his lover Ilsa leaves him at the airport, hiding from her his own heartbreak so that she will be flown to safety. The situation in The Burning Darkness could be seen as similar. Then again: are there really circumstances in which a lie can ever be held morally superior to the truth? Isn’t there something sacred about truth and reality? Surely it is better to live with what is true and real, however painful, than with a delusion, however pleasurable and comforting? Who knows what might have happened when those blind students were told the truth. After the initial trauma they may find a way to integrate the experience and mature as a result. In a while they may even find a new lease of life from learning what their existence is really like. A good example of the promotion of this moral can be found in the film The Matrix. It is exemplified by what Morpheus says to Neo when Neo asks: “I can’t go back can I? (into the fake simulated world)” and Morpheus says: “No. But if you could, would you want to?” In this film one of the characters, Cypher, betrays this moral and turns coat in order to reenter the false world which he misses because the truth is so distasteful. In one scene he tucks into a holographic meal at an illusory restaurant and exclaims: “If there’s one thing I’ve learned... it’s that ignorance is bliss!” Another classic line is: "If we'd known we would have told Morpheus to shove that Red Pill up his arse!"